Take a trip to the most terrifying of slots and go wild for massive multiplier wins. 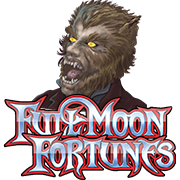 In Full Moon Fortune watch Dr. Blackwood transform as the Full Moon turns him wild. Enter the interactive Graveyard bonus where you can choose graves to control how the bonus plays out. This slot will keep you on the edge of your seat! Check it out at Fly Casino on Monday. Prepare yourself for the luckiest game of them all, where every line pays both ways and wild substitutes every symbol including scatter and doubles while substituting. 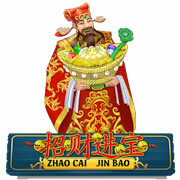 With many Asian themes of good fortune to boost your chances of winning – luck is on your side. Go wild as dazzling red and gold colours light up the screen to celebrate your wins! Are you ready to get lucky? Saturday February 1st,, 2014 00:00GMT until 23:59GMT on your first deposit of $/£/€10 or more our members are eligible for our exciting Your Choice bonus. Let loose and watch the best show in town as the Chippendales Dance the night away. Everyone will go wild as the men spin the wheel in the sizzling spin bonus! Have fun with the symbol strip feature; the more layers the Chippendales remove the higher the pay! The party is about begin, are you in?